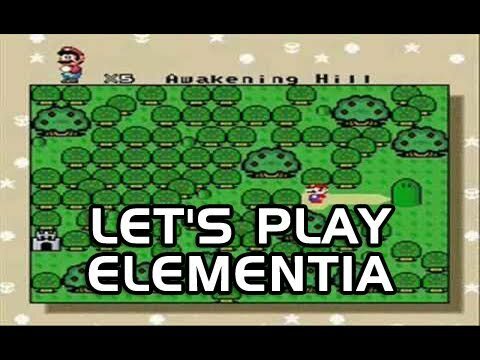 Jay plays The Tale of Elementia, a Super Mario World hack. In part 1, he gets through the introduction and plays one level. Since I enjoyed doing gameplay videos so much and a lot of people seemed to like them, I decided to do more games. But I’m not just going to do regular games that other people have already played. I’m gonna be playing independent and obscure games that not too many people know about. This first one is called The Tale of Elementia, and it’s a hack of Super Mario World. It says it’s a demo, but the creator is no longer working on it, so consider this the final version. In this first video there’s a lot of story, but the next videos will be mostly gameplay. I will do my best to entertain you during all parts of this game and future games I play. Thanks for giving me this opportunity to share my love of video games and comedy with you at the same time! where I can play this game? where do you get the tale of elementia i really wont it it? im the first to comment yah!!!!! !